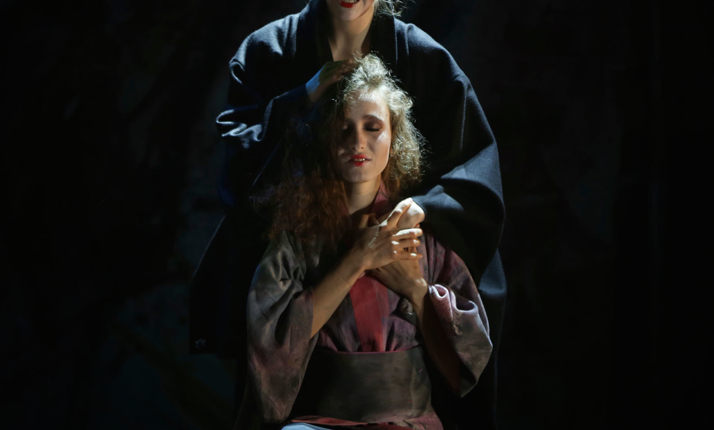 “A thrillingly well-sung Ottavia from Eira Sjaastad Huse, with extraordinary stage presence"
Norwegian mezzo-soprano/composer Eira Huse operates in a vivid sound universe and possesses a warm and expressive lyrical mezzo. Eira has been involved in various projects, composing her own chamber opera, and performed in and outside of Norway. Highlights in Eira's 2018/2019 season include her debut at The Norwegian National Opera as Second Woman/Second Witch (Dido and Aeneas), Lady Capulet in B. Blacher's Romeo and Juliet) with Opéra National de Lyon's Opera Studio and Grieg's Haugtussa at Oxford Lieder Festival (UK) and Oslo Grieg Festival. Eira will also appear as Bastian (Mozart's Bastian und Bastienne) at Håvard Gimse's Mozartfestivalen. In 2020 she will sing the role of Dido (Purcell's Dido and Aeneas) at Ramme Gård (NO). She has performed with artists such as Henning Kraggerud, Helge Kjekshus, Clemens Flick, Michael Endres, Matti Hirvonen, Oliver John Ruthven, Musica Poetica, Emmanuel Calef, Per Kristian Skalstad and Bjarte Engeseth. Eira is regurlarly seen in recital with the pianists Olga Jørgensen and Emil Duncumb. She has sung in venues such as Oslo Concert Hall (NO), Holywell Music Room (UK), Universitetets Aula (NO), Nationaltheatret (NO), The Castle Church at Akershus Fortress (NO) Wigmore Hall (Wigmore Song Competiton) (UK) and Gamle Logen (NO). Festival appearances include Risør Kammermusikkfest (NO), Mozartfestivalen (NO), a Piteå Festspelen tour (SE), Olavsfestdagene (NO) and Johan Halvorsen Musikkfest (NO). Eira is represented by Stellis Polaris Management. For more details, please see Eira's CV.